When an expecting mother isn’t feeling well, be it heartburn, morning sickness, insomnia or aches and pains, her first concern is to find relief that is safe for her and for her baby. Navigating the many over-the-counter remedies on the market can be maddening, especially since so many are on the “no” or “maybe” list for pregnant and nursing women. Until now, there hasn’t been a trustworthy, effective line of remedies made specifically for pregnant and nursing women, but Healthy Mama came along and changed that. 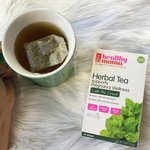 The Healthy Mama line offers OBGYN-recommended remedies for some of the most common discomforts of pregnancy. It seems we can do about anything nowadays … drones, smart watches, pictures of Mars. But the drama of diaper rash continues, and parents are still searching for a better way to soothe little bottoms. CJ was a mom who was facing just such a dilemma, compounded by the fact that she was using cloth diapers. As she commiserated with other mothers on discussion boards, she also tried to find a homegrown solution. And when she did, she shared. 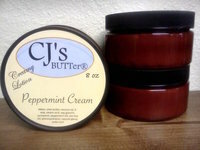 And when she shared, she became the coveted creator of a balm to end all balms: CJ’s BUTTer. 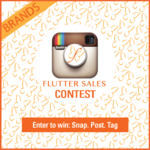 Brands, enter to win a free membership for Flutter Sales & start selling your in-stock merchandise! One winner selected randomly on Tuesday, October 20, 2015 at 2 pm EST. Winner receives a free 6-month membership on FlutterSales.com. Expectant parents make a lot of purchases in the time leading up to the birth of their baby. Friends, family and other well-wishers also contribute to the collection with their useful, cute, funny and practical gifts. Of all the items parents acquire during the exciting days of expectant and new parenthood, very few are meant to have a long shelf life. Baby Bump is a uniquely versatile product that offers years of usefulness, thanks to its multifunctional design. Pillows in the crib are a big no-no, but there are still plenty of ways that little ones can enjoy the soft, cushiony luxury of pillows in other settings. Back Buddy, Shuga Bebé Couture, Peek Away, and Baby-BeeHaven all have something new and different to offer to customers looking for nursing pillows and other comfort pillows for themselves or their babies. Whether they’re in the market for a luxury nursing pillow that complements their bedroom décor, a seat for a softer stroller ride, or a travel bed that converts into multiple baby care accessories, they won’t be disappointed by the products from these unique companies. NapiNol Nursery Therapies creates all-natural skin care products with only the most necessary ingredients. They vow to use as few ingredients as possible, and each with a vital purpose for the skin. Their products contain no synthetics, no chemicals and nothing that isn’t on the label. Their products meet the strictest standards set by the Environmental Working Group, scoring a zero toxicity rating. NapiNol values this honesty and clarity because they have a working knowledge of both natural maternal needs and pharmaceutical formulation, allowing them to find natural solutions to product development where others resort to synthetics for help. First time mothers and seasoned pros alike all need a little bit of abdominal recovery help after giving birth.The ActivEmbrace Postnatal Recovery System by DLVR Maternity is a belly sleeve that helps women recover at a healthy pace so they can return to their pre-baby bodies. Different than other belly bands, the ActivEmbrace combines functionality with science to deliver a product that is comfortable to wear to help the wearer properly heal. Made in the USA, this is a useful aid for a new mom, even before she leaves the hospital. Diaper rashes, sports rashes, even rashes from hot, humid weather are terrible to experience. With Quantuminds Baby Powder Wipes, these can be wiped away and keep skin feeling fresh. The revolutionary combination of a wipe plus a powder makes this all-in-one product a fast solution. Do away with toting around rash powders, wipes, and medicated ointment. A more sanitary option, the user doesn’t have to worry about contaminating the infected area during application since the rash will only be touched with the wipe itself. Put this versatile product in the baby, exercise, and home improvement aisles to reach many target audiences. Today’s busy lifestyle can make it difficult to find time to breastfeed a baby, especially for moms who are returning to work. Milkies by Fairhaven Health is a line of products designed to make breastfeeding easier and more convenient for moms, whatever may be going on in their lives. The Milk-Saver is among the company’s best selling products. This innovative creation allows mothers to get the most milk out of every feeding or pumping. Using a unique system, the Milk-Saver collects drops of milk that leak from one breast while the baby nurses (or mom pumps) from the other. New from Liz and Roo! Mint Woodland Crib Bedding and Coordinating Curtains. This Crib Bedding Features a Soft Palette of Mint Green and White with the Deer Silhouette Crib Rail Cover (also available in bumper), a White Woven Skirt, our Big Dot Sheet and Blanket in Plush, Luxe Mint Minky (Faux Fur). Finish Your Nursery with Our Wide Horizontal Cabana Stripe Curtains in Mint. Optional Sheeting Available in Arrows Pattern Not Shown. Made in USA. Sale on Samples and Nearly Perfect Seconds - Limited Supplies. Take advantage of our once a year sale on Liz and Roo Fine Baby Bedding separates. 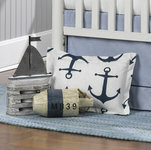 Samples of minky receiving blankets, crib rail teething covers, crib skirts, crib sheets, toddler comforters, accent pillows, euro shams, kids’ bedding, and more are all on sale at unbelievable prices. Some are “samples’, either used in a photo shoot or made but not selected as a “line” to manufacture, others are nearly perfect seconds with a slight flaw in the fabric. You can get Liz and Roo bedding up to 70% off through year end.